If you often read this blog, you know that our members are from everywhere in the world. 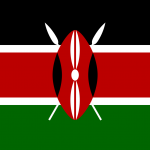 Some of our contributors, Marvin M. is from Kenya and he likes giving information about how it works there. It is always interesting and if you are from a country in which there are issues concerning electrical engineering or any interesting facts to share, please send us a mail. There has been massive deregulation of key sectors in the government. The major ones include the railway transport, telecommunication, and the sugar companies. The positive impact in these areas has shed new light on the importance of deregulation and privatisation. Considering that the energy sector is a pillar of any country, the primary objective at this point is to allow non-utilities and independent power producers to inject their offerings into the national grid. Consumers across the board feel the need for efficient power supply, solid support, upgraded systems and scheduled maintenance schedules. The inefficiency is fuelled by regional disparities that affect infrastructures such as grid penetration and access to resources, as well as poor maintenance schedules and poor customer care skills. In the same vein, different regions have different power rates, based on peak demand, as well as the distance from the primary power source. 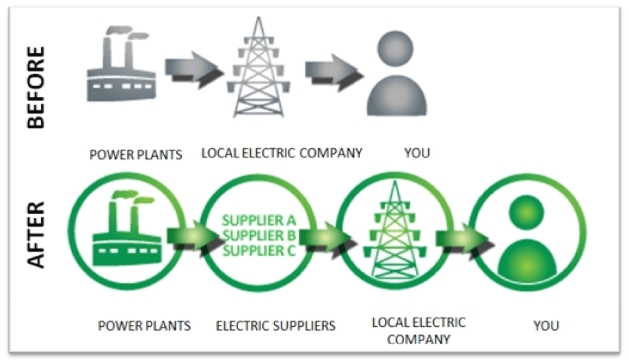 Deregulation allows the entry of independent power producers and distributors that can be region based. This allows for a streamlined rate across different regions. The primary objective of deregulation is lower power price. The high cost of power in Kenya has discouraged many investors, alongside burdening the common citizen with crippling bills at substandard power delivery and support. One primary result of this is that due to the high cost of manufacturing products, the country has to resort to exporting most of the raw materials to other countries that have affordable and more reliable power. Well, then we get to rebuy the finished product for use and consumption, of course at very exaggerated costs. Though the cost of power has reduced over the years, the fact remains that it can still fall further. This is only possible if there is healthy competition amongst a number of power suppliers and distributors, rather than the existing case where one state-owned parastatal determines the rate. The cost savings also apply to the commercial power consumers. The competition not only accords cost savings in terms of lower power bills, but also, better service provision and faster attendance to issue as a by-product of healthy competition. The current scenario, where a significant percentage of an industry’s operating cost goes to power bills, means that the cost of commodities and consumer products remain high, as manufacturers seek to trickle down this cost to the consumers. However, as much as deregulation has its many benefits, there is the inherent risk of creating power oligarchies in the sector; unhealthy competition easily pushes out small independent power suppliers and creates a market were a few power giants control the market and dictate the cost of power. To counter the recurrent monopoly, deregulation should be accompanied by solid anti-monopoly policies and policies that promote a healthy competitive market. The policy makers should invest ample resources, including research, information acquisition, and solid economic analysis to establish measures to address the technical and institutional challenges that accompany deregulation. Only in this way will consumers enjoy the positive impact of the shift. And thank you for sharing Marvin! What do you think about it? And do you have the same issues in your country? Comment below!